The Family of 4 Garden is changing rapidly, so I thought I’d give you the virtual tour! 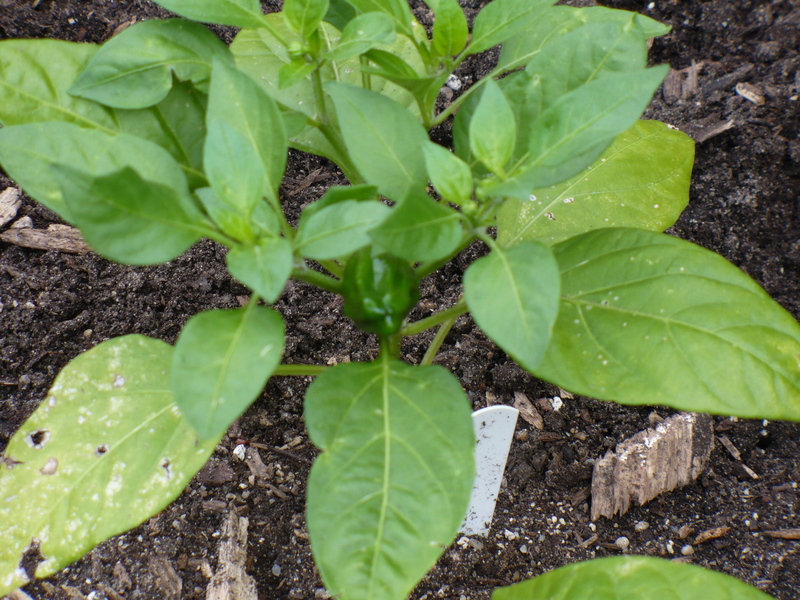 The pepper plants are looking much better after I sidedressed them with fertilizer late last week. The are just starting to set some peppers. I should probably pick them off to encourage the plants go get bigger, but I just don’t have the heart to do it! We harvested the last of the lettuce from the Family of 4 Garden this morning. We got a little over a pound of lettuce. We harvested for 2 reasons: 1) The lettuce is starting to get bitter due to the heat. 2) We needed the space to plant the squash! We planted the squash seeds this morning. ‘Honey Bear’ is an acorn squash, and ‘Cornell’s Bush Delicata’ is a type of delicata squash. Both are winter squashes. They are supposed to fit in a 2 x 2 ft space, so we will see how that works out! 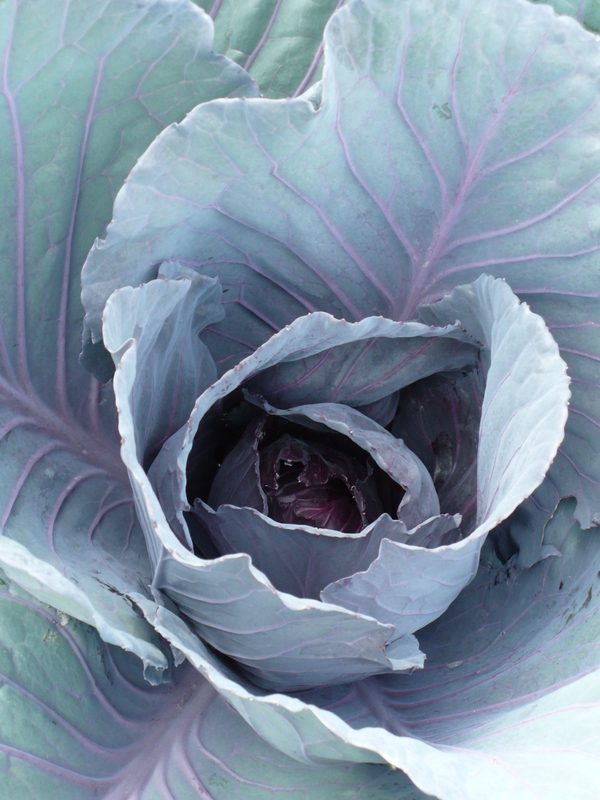 The unplanned red cabbage in the middle of the tomato patch is starting to form heads. I hope we can get it harvested here in another couple weeks to give the tomatoes more space to grow! We have our first tomato set on in the Family of 4 Garden! 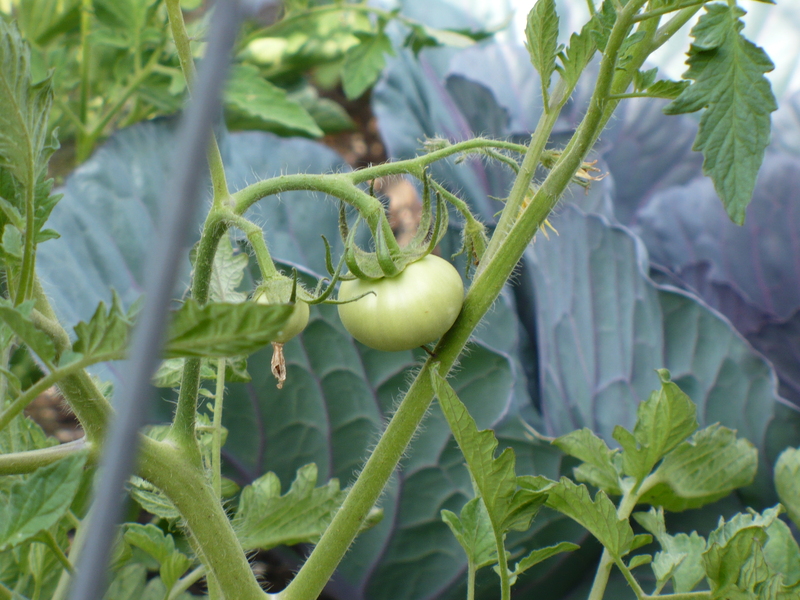 This tomato is one of the ‘Fabulous’ plants. 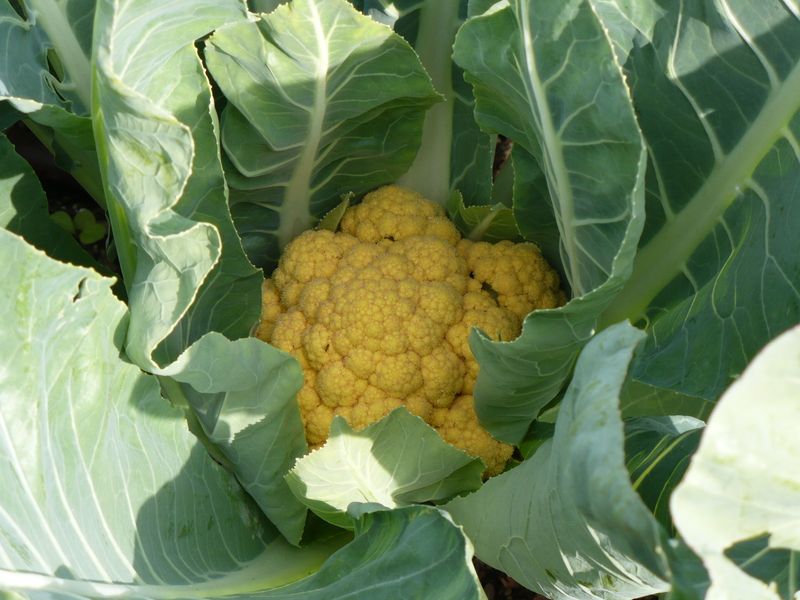 The ‘Cheddar’ Cauliflower should be large enough to harvest by next week sometime. The onions are getting bigger every day. It is hard to resist the temptation to start pulling them out now! 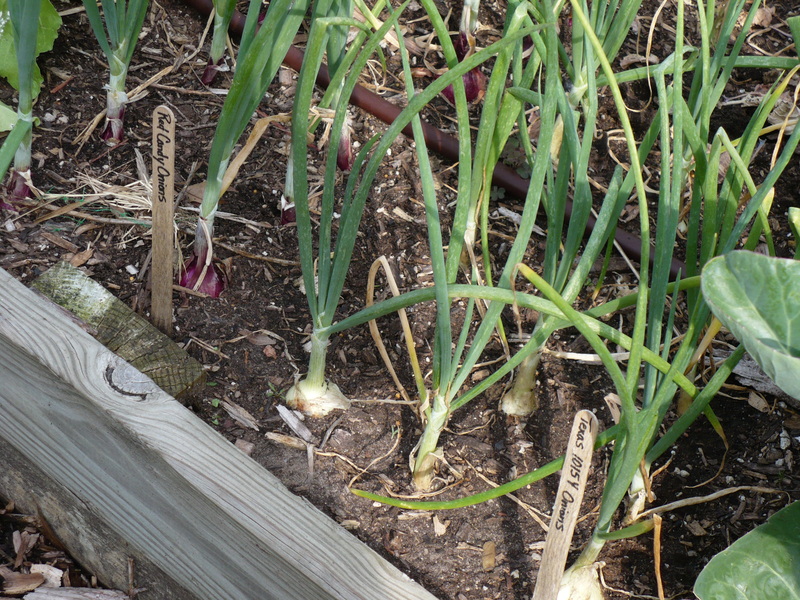 A few of the Texas 1015Y onions continue to rot. They have probably been getting too much water. I don’t think this week will help that cause. The beets, carrots, and Swiss chard look good, if a little bit holey. We sprinkled them with some Rotenone dust (organic) this morning, since I had seen some critters on them. 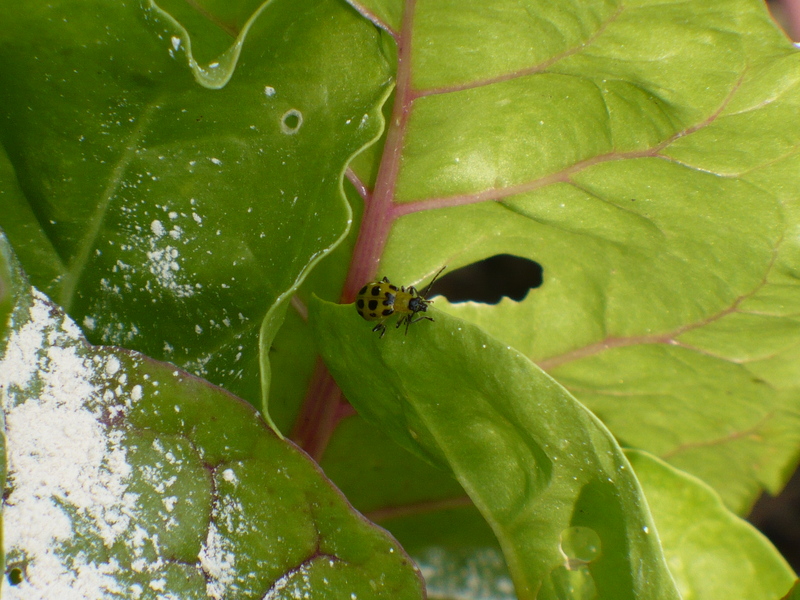 This picture shows a cucumber beetle. I don’t know what he thinks he’s doing eating beet greens, but apparently he’s hungry. That’s what’s up in the Family of 4 Garden this week. Now that lettuce harvesting season is over, we’ll have a few weeks before it gets really busy again with peppers, tomatoes, etc. 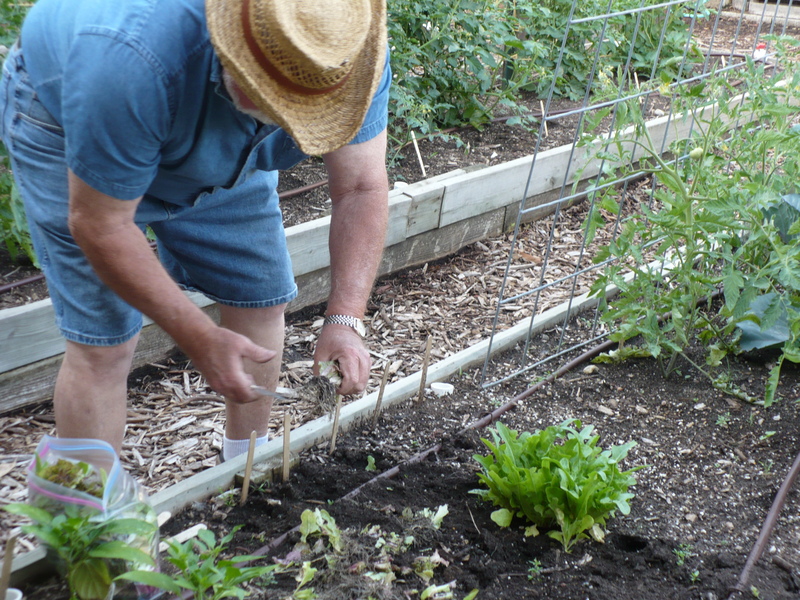 Posted on June 9, 2009, in Family of 4 Garden, PhotoEssays and tagged onions, peppers, squash, summer garden, Tomatoes, vegetable gardening. Bookmark the permalink. Leave a comment.